Fashion Vitamins: Karl Lagerfeld's swimsuits through the years. Karl Lagerfeld's swimsuits through the years. It's Summer and everyone enjoy's at least one day at the beach these months. 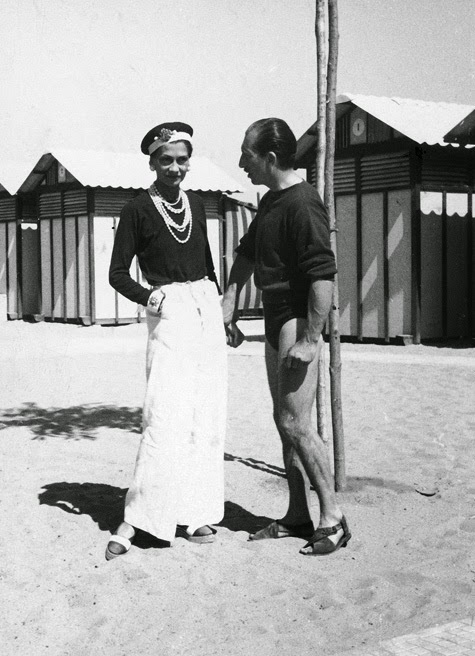 Here's many years of Karl Lagerfeld's beach fashion. I wish I had it all hanging in my closet! Here you see the belly chain is already an old trend. Coco Chanel herself in 1930 on the beach.